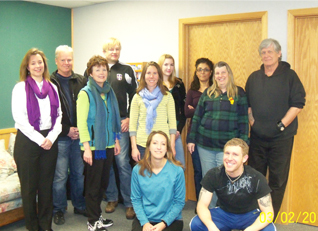 The Medical Hypnotherapy Program offered at The Denver School Of Hypnotherapy is the only certification program of its type in the area. Program Director, Greg Freedman, MD, designed the curriculum specifically for hypnotherapists wanting to add another “tool” to their”toolbox” which will increase their skills in supporting clients in a whole new way. immune processes, cancer, HIV, wound healing, and other common medical conditions. 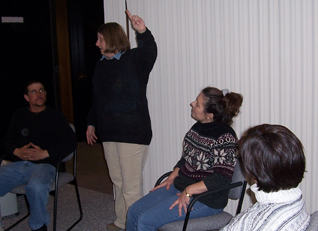 This class also includes legal considerations, communicating with health and mental health professionals, and how to create medically appropriate suggestions and visualizations to use in hypnosis practice. 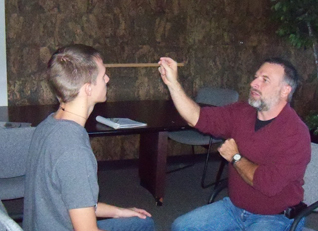 Students in the class will learn advanced knowledge of anatomy, physiology, and disease processes for select medical conditions to use in a hypnosis practice. Students will also learn about specific sub-areas of medical hypnosis, including obsterics/hypnosis for birth, surgery preparation and recovery, dentistry, and emergency hypnosis. This course also includes advanced methods of uncovering and working with psychosomatic causes and influences on health, to use in a hypnosis session, as well as increase a students ability to integrate hypnosis for medical issues with other related issues. Students will be able to refine their skills at hypnotherapeutic communication, treatment planning and suggestions and imagery therapy. Students will learn about physiological and psychological aspects of acute and chronic pain, and methods of pain assessment to use in a hypnosis practice. Students will also learn to select and use hypnotic methods for working with chronic and acute pain, and relevant practice considerations for working with non-medical pain management, including ethical and legal issues. This course teaches students the elements and considerations of putting together and running a group for chronic pain clients, as well as social and interpersonal aspects of pain and pain management. Students will learn how to work with pre and post surgical pain management and dental pain control. This course also teaches students hypnosis methods for working with all types of headaches and an NLP Trauma Release method. 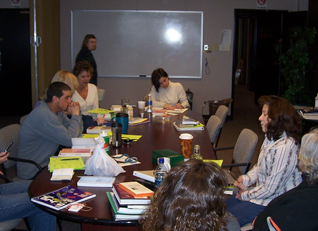 During the practicum, students learn and practice a standard medical case presentation protocol, develop appropriate and limited treatment goals designed to give clients experiences of success to use in a hypnosis practice. 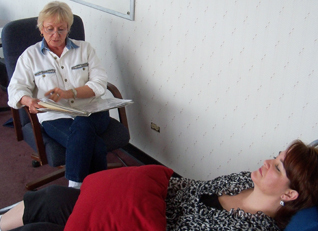 They will also develop and follow treatment plans for each client and will demonstrate professional standards through utilization of appropriate forms and symptom measurement tools to use in a hypnosis practice. The course includes a one weekend course in basic hypnotherapeutic skills and verbiage as well as an understanding of basic scientific foundations of mind body healing, including aspects of psychoneuroimmunology, and psychosomatic medicine to use in a hypnosis practice. Students will be able to look up and understand medical information and terminology to use in a hypnosis practice as well as to develop familiarity with immune processes, cancer, HIV, wound healing, and other common medical conditions. This class also includes legal considerations, communicating with health and mental health professionals, and how to create medically appropriate suggestions and visualizations to use in a psychotherapeutic practice. Students in the class will learn advanced knowledge of anatomy, physiology, and disease processes for select medical conditions to use in a mind body practice. Students will also learn about specific sub-areas of medical hypnosis, including obsterics/hypnosis for birth, surgery preparation and recovery, dentistry, and emergency hypnosis. This course also includes advanced methods of uncovering and working with psychosomatic causes and influences on health, to use in a mind body session, as well as increase a students ability to integrate hypnosis for medical issues with other related issues. Students will be able to refine their skills at hypnotherapeutic communication, treatment planning and suggestions and imagery therapy. 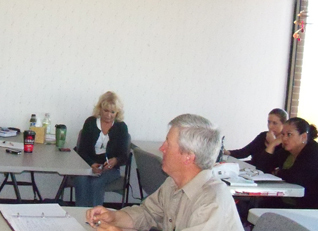 The course teaches about common end of life issues related to unfinished business, meaning, identity, relationships, fear, and spirituality to use in a hypnosis practice. Students will learn how to identify the stages of grieving and common components and theories of near death experiences. Students will also learn about issues associated with care giving and considerations for working with families of a dying person. This course includes the role and resources of hospice and how to help people frame terminal diagnoses in order to inspire hope and search for deeper meaning in life. This is a comprehensive two day, one weekend course designed to teach Hypnotherapists and psychotherapists how to market their practices to medical care providers, including physicians and chiropractors. Student will participate in role playing, demonstrations, and discussions on different personality types .